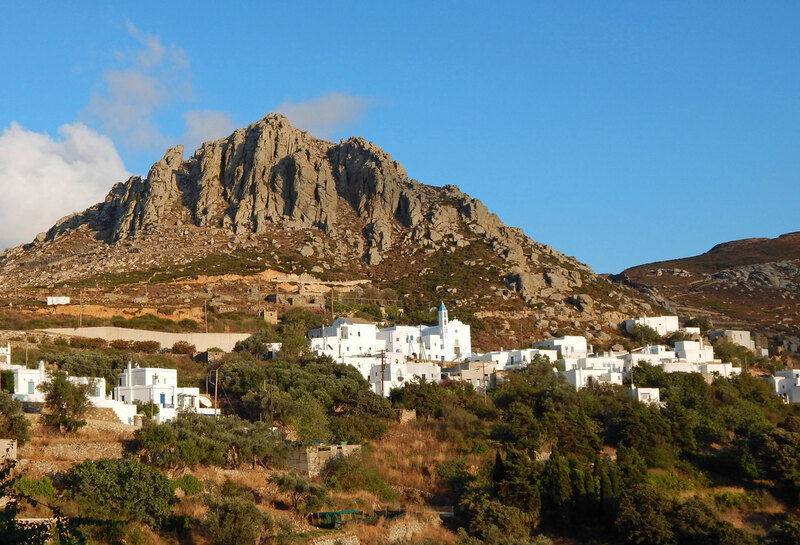 For those in the know, Tinos is the quintessential Aegean island. Authentic and full of surprises, genuine and unexpected, Tinos is the wonder of the Cyclades, generously treating its visitors to warm, welcoming days and nights full of beauty. 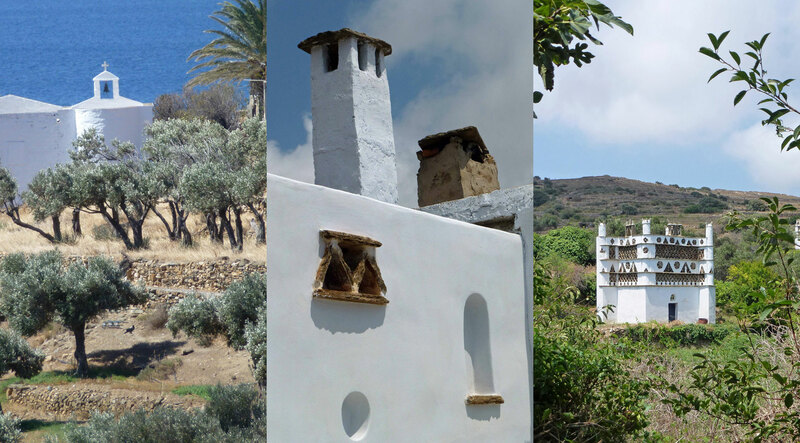 Swimming, walking, hunting, relaxing, cycling, diving, architecture, climbing, traditional arts, gastronomy, fishing, meditation, entertainment, praying... Tinos has something for everyone. From the Church of the Blessed Virgin and the Catholic monasteries to its famous tavernas and unique pigeon-houses, there is something to be discovered in every corner of the island, and every single day becomes an experience in itself. 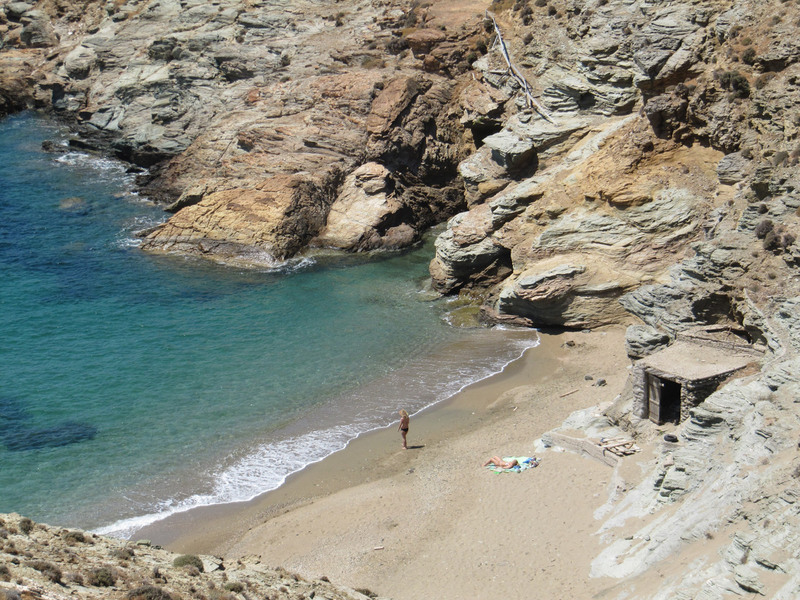 Tinos is defined by its bright summers and mild winters. In the spring, the fields are brimming with wildflowers that cover age-old footpaths, inviting sounds and scents to set up home in the stone benches and bring into life the small architectural gems built to house pigeons. Shadowy cobbled streets in the unspoilt villages offer their welcome cool during the scorching Aegean summer, and a refuge full of comfort in the still of the Mediterranean winter. In the autumn, colours explode under the soft touch of the sun that plays hide-and-seek with the clouds. 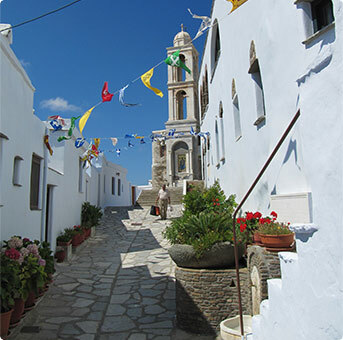 But Tinos is not only a feast for the eyes: at every turn of the road, the soul is also filled by the gentleness of the local people, by life itself, which, uncomplicated and traditional, evolves calmly round the joyful religious festivities and celebrations that keep alive the familiar and treasured customs. Food also takes on new dimensions in Tinos: individual and imaginative, the local cuisine offers satisfaction to all the senses, cleverly using very local produce. Wander around Tinos. Walk in its fields, pick capers and herbs for your salads, and trace your own footpath. Discover the beach to become home to the best summer of your life. Choose, on your way through the villages, a fountain with clear running water, and bring to it someone you love, so that they can quench their thirst. Fall in love with an anonymous sculpture and visit it in every weather, so that you can admire the colours that its whiteness radiates. Find out, in Pyrgos and Sklavochori, why Tinos gave birth to painters like Gyzis, Lytras and Gaitis, and to sculptors like Filippotis, and discover, in the school of Fine Arts and the Marble Curving Museum, the new sculptor destined to become the next Halepas. In the town, start or end your day by shopping fresh fruit and vegetables from Pallada, and have coffee and loukoumades (or raki and beer) in the coffee shops lining the waterfront. As the evening sets in, you can set off, in the company of your friends and loved ones, for the town’s well-known restaurants, unique bars and merry entertainment shops that will keep you up until the next morning. And when, after the feast is over, you find yourself, exhausted, working slowly your way back home, with the sun kissing the marble ornaments of the island’s houses and churches, then you too will have become a witness of the wonder of the Aegean! Tinos is the third largest island of the Cyclades. It lies between Andros, Mykonos, Delos and Syros, has a temperate climate and a high annual rate of sunshine. Local population numbers 10,000 people. From the port of Rafina, Tinos is two hours away by high-speed boat and four hours away by conventional boat. From the port of Piraeus, the respective times are three and five hours. Boat services to Tinos run daily from both ports throughout the year, with many more services running during the summer. By plane, Tinos is 20 minutes away from the Mykonos Airport by ship or 2 hours from the Eleftherios Venizelos Airport of Athens, via Rafina on a high-speed boat. 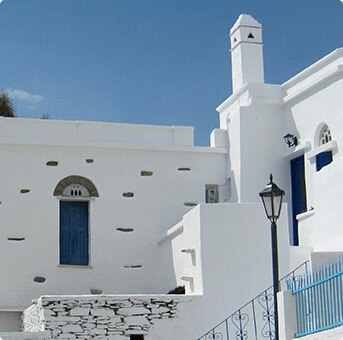 Mykonos, Paros, Naxos, the Lesser Cyclades Ios and Santorini are connected daily with Tinos by high-speed boats in the summer, while the rest of the Cyclades islands are easily accessible by direct coastal shipping services or via intermediate stops. Regarding health, Tinos has a Health Center, which is part of Syros' hospital, private doctors of all major specialities and for more serious cases the Municipality provides free transportation by helicopter for residents and visitors of the island to Athens hospitals or Syros.